When Ins Choi found himself playwriting for an Asian-Canadian theater company, he didn't have to look far for source material. For "Kim's Convenience," Choi found inspiration in his experiences growing up in Canada. The play was adapted into a television show and became a breakthrough for the Canadian Broadcasting Corporation — the country's national public broadcaster — premiering Canada's first Asian leads in a TV sitcom in October. 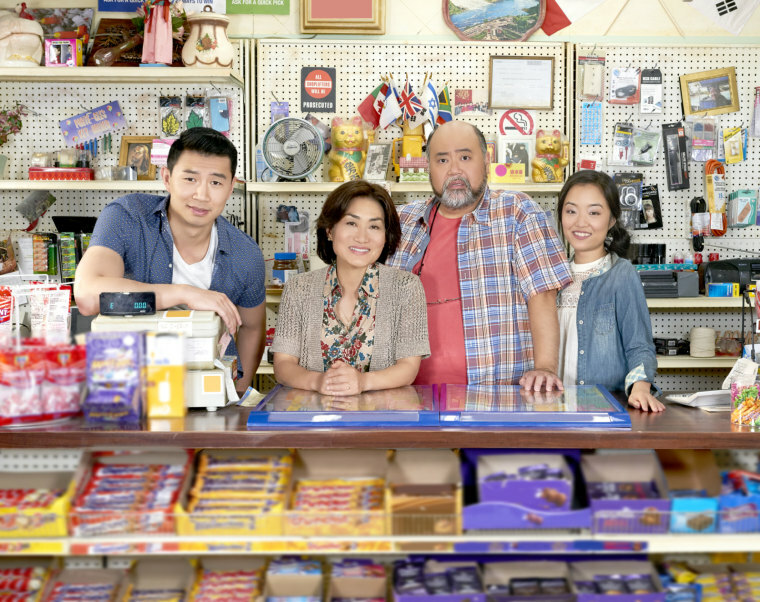 The series revolves around the Kims, a Korean-Canadian family of four as they run a corner shop in suburban Toronto. The play "Kim’s Convenience" pre-launched in 2011 at the Fringe Festival, and Canadian theater company Soul Pepper picked it up in 2012. It began touring across the country at that time, and continues to do so, even as the series runs on television. Choi, an actor himself, said he noticed a lack of diversity within the field and wanted change. Before creating Kim’s Convenience, he was close to quitting acting altogether. That’s when a local Asian-Canadian theater company invited him to join them as part of their playwriting unit. “It was kind of a full circle of being frustrated with the system because I wasn’t included in their stories, then writing my own stories, and then finally the system including my stories,” Choi said. There was similar frustration for actor Paul Sun-Hyung Lee. In the series, he portrays Appa — which translates to “dad” in Korean. Lee was born in Korea, but brought to Canada when he was 3 months old. He’s only visited Korea once since moving to North America, but when he began his career in acting, he noticed he was often typecast as a particular kind of character. Lee, who speaks English with a Canadian accent, was able to overcome that block in this series. He portrays Appa, a middle-aged Korean man who immigrated at a late stage in his life, with a thick Korean accent. He said he has received criticism for the accent, but urges his critics to look beyond it. Appa’s counterpart, Umma, or “mom,” is portrayed by Jean Yoon. Like Lee, Yoon also puts on an accent for the role. She said she didn’t have much in common with her character, but knew someone who did. “When my parents first saw the show, my mom was like: ‘Only I’m looking at you. You look very good, very natural. I think it’s very good’ — she was identifying with it,” Yoon told NBC News. She also had frustrations in trying to find Asian characters that were fully developed, but Yoon is optimistic in the future of the industry, calling projects like Kim’s Convenience ”baby steps” in a continuum of progress. The cast doesn’t want Canada’s headway in diversity to end with “Kim’s Convenience.” With shows like “Fresh off the Boat,” “Dr. Ken,” and “Master of None” making their marks in the U.S., they hope “Kim’s Convenience” will someday be recognized as a flagship show for Canadian television.